In my novel, A Comfortable Distance, Derrick lives a life of determined isolation from people, from relationships, from God. But in his solitude, he descends into a darker place that results in his own death wish and his eventual demise. In the Dante-esque world where he finds himself, he learns that his rightful place is with the contorted, human-shaped trees in the Forest of Suicides. He rejects the implication that he died as a suicide, having expired from an “accidental”overdose of sleeping pills and bourbon; the fact that he wished for death and lived a life of separation and self-destruction slots him for a spot in the forest, which he must fight against with every ounce of his being, struggling to extricate himself from the forest without the appearance of the protective irises that have inexplicably rescued him before (because the forest is where he belongs). Derrick learns that the purgatorial island he inhabits is not as much of a safe distance from Hell as he had thought as so many hellish forces threaten to drag him into the depths or into a horror of darkness and isolation, which reflects the pattern of his earthly life when he kept himself apart from others who would have loved him and given him sources of healing and ease from his internal pain. 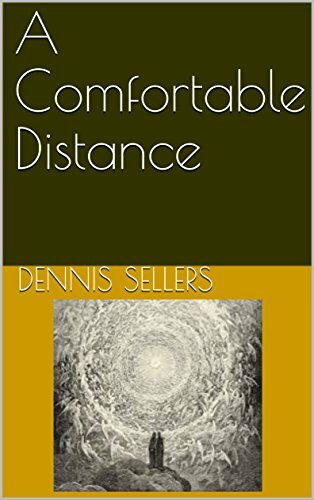 In life, his “comfortable distance” from others ultimately sent him into miseries of depression and addiction that sent him into a downward spiral, ending in death. He had refused to accept the notion that embracing the love of others, of his sister and Bonnie, of God, would have brought his salvation. At the end of the story, Derrick learns the lesson, but feels stuck, unsure of what to do with his life, how to serve God, and how to move forward from a past that paralyzes him. Brother Vincent reminds him of how Derrick, while in Paradise, had drank from the River of Lethe, the waters of forgetfulness, and he encourages him to continue drinking from Lethe, to forget his past and step forward toward the Light of God and toward his purpose, which would reveal itself in time. Writer's Ramble Blog at WordPress.com.